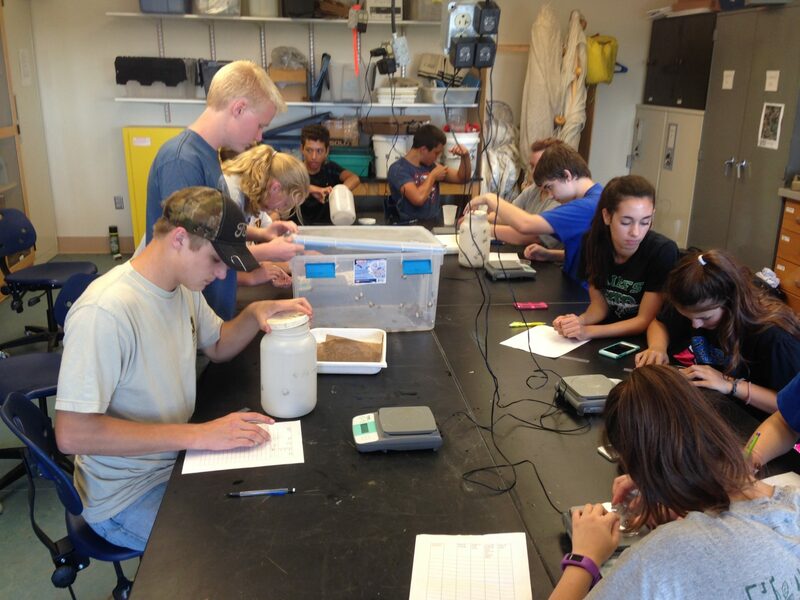 In September of last year, the University of Kansas Biological Field Station graciously opened its facilities to the environmental science students of Basehor-Linwood High School. Scott Campbell, associate director of outreach and public services for Kansas Biological Survey, received the 20 students at the Armitage Center. Scott, a true educator, engaged the students in a discussion about the broad mission of the field station. Students curiously asked many questions about the current research that was being conducted. Students received some general guidelines about how to treat the animals ethically. Soon students began a fierce competition to catch the most frogs. In the classroom a discussion about population surveys would have been met with little excitement. At the side of the pond, with frogs leaping through the cool September grass, there was not a student in twenty who thought this was a meaningless exercise. The excitement was palpable. Once the frogs were collected , students retired to the Armitage Center for sack lunches. The frogs were cooled in a large refrigerator to make them easier to work with. 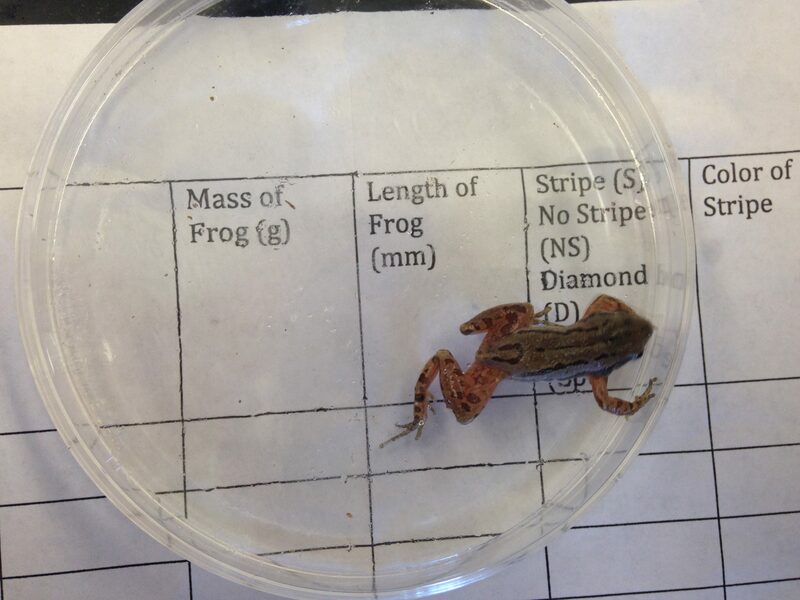 Students had practiced weighing and measuring frogs in the classroom. Now these skills were put to work- there were 134 frogs to weigh, measure, and score for color patterns. This scene was punctuated by moments of chaos when a frog or two would make a dive to get out of the grips of the high school students. After all the data was collected students returned to the pond to release the frogs. 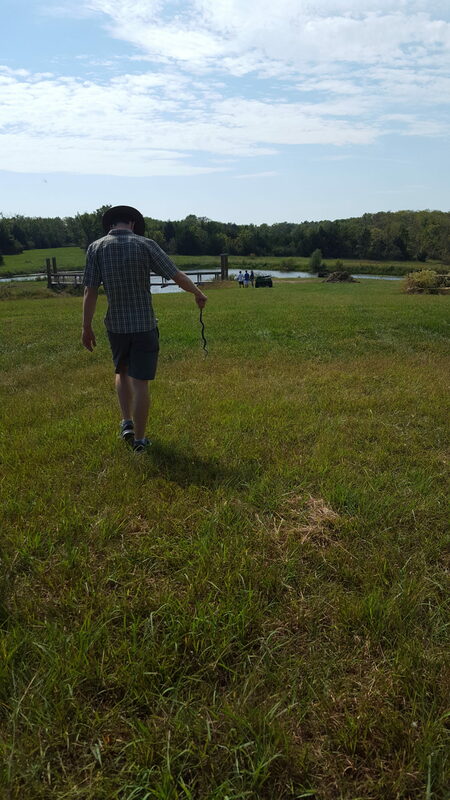 On the way, Mr. Daniel Smalley, their teacher, caught a small black snake. 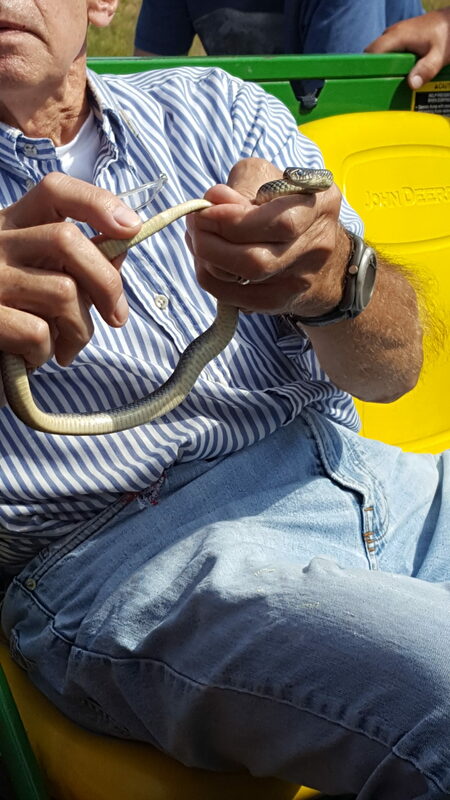 The snake made its way to Mr. Stan Roth who is an adjunct research assistant and educator for the Kansas Biological Survey. Stan identified the species and engaged the students in a conversation about the natural history of the snake. Many students touched a snake for the first time. 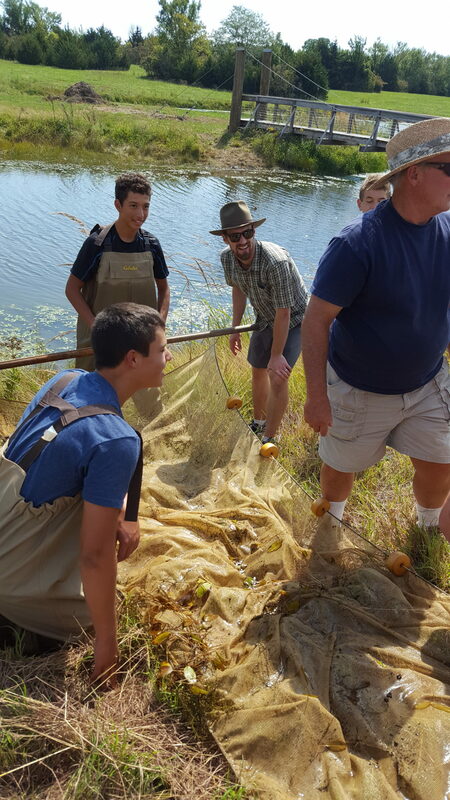 Finally, students were able to seine in the pond. They had a good harvest of small fish and invertebrates. 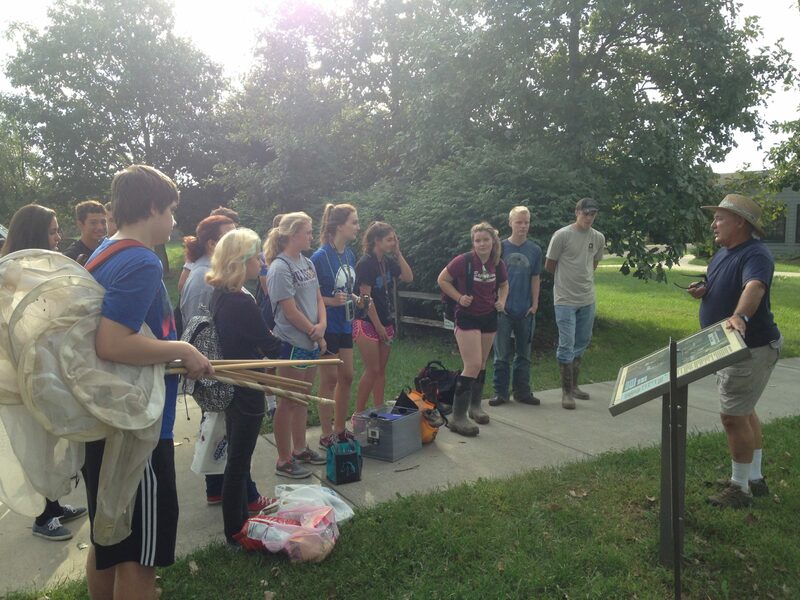 Before the students returned to class they visited the Rockefeller Prairie and walked the trails. Students collected 10 flowering heads of goldenrod. The flowering heads were quickly covered in gallon ziplock bags and sealed shut. Inside all the insect species that were foraging or hunting on the flower heads were sealed too. Back at school the students compiled the data into a Google spreadsheet. This data was then analyzed and graphed by hand. Thus, students had the chance to analyze data about a population that they had collected. 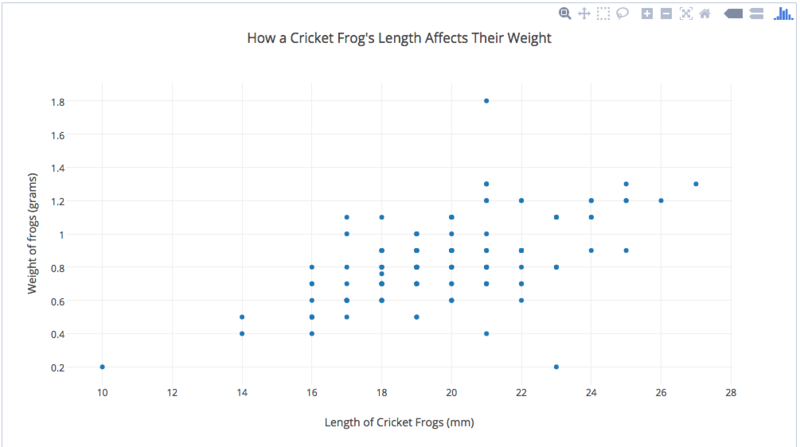 Mr. Smalley then entered the information into Plotly an online graphing platform. 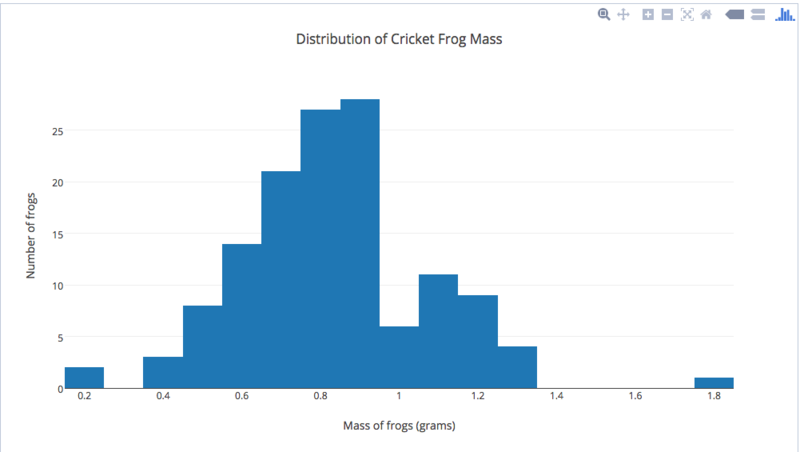 The computer allowed the students to more easily analyze the distribution variables like snout to vent length and weight. 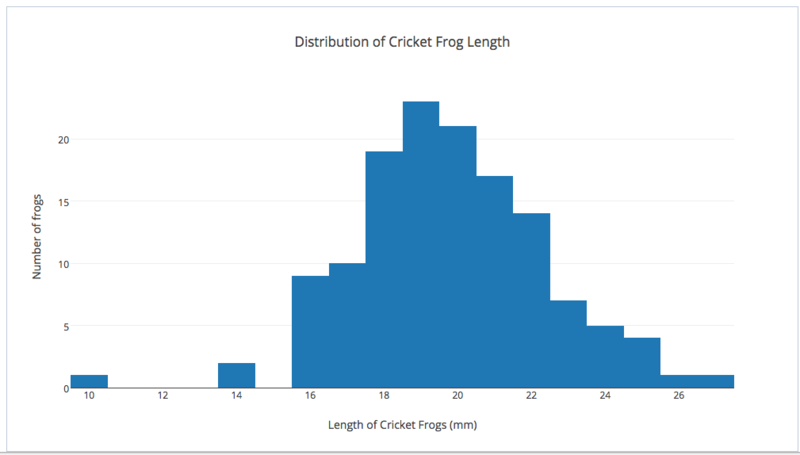 The final graph that students examined compared the length of frogs to their weight. Mr. Smalley explained that we should expect to see a strong connection between these two variables. Further, he explained, that this was an example of a mathematical model that could be used to predict and explain the population. Who knew there could be so much math in environmental science? After the frog data was analyzed students took out ten bags of Goldenrod. The bags had been frozen. Students separated out the insects from the Goldenrod. They had to identify the insect species. Thankfully, Mr. Smalley has had a lifelong obsession with collecting bugs so with his help and a few field guides students quickly were able to determine the species they were looking at. Mr. Smalley then helped the students put together a food web based on these species. The bugs could then be categorized by their tropic level . Students collected the bugs of similar trophic levels together. This included 14 jumping spiders that served as top predators! Each level was weighed together. The students turned this into a large bulletin board that was displayed in the hallway. 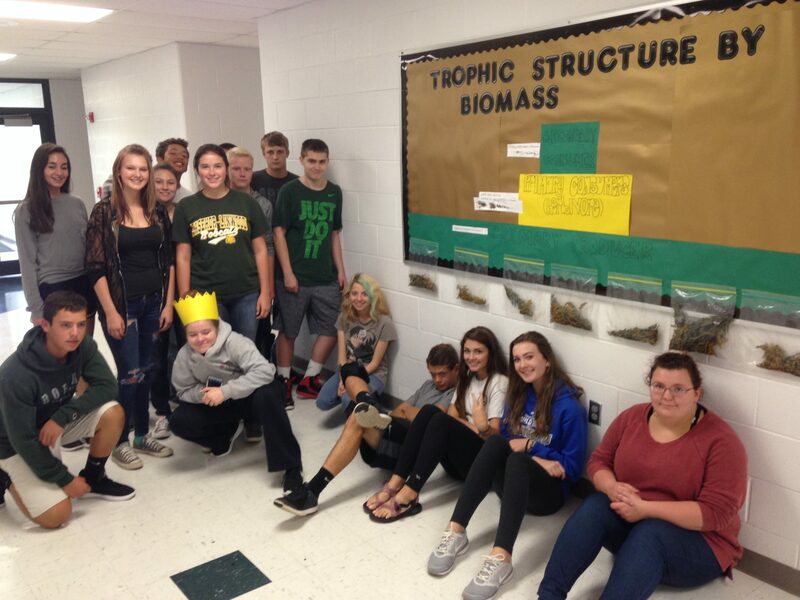 Mr. Smalley explained that this too was a model that showed where the biomass (a proxy for energy) was located in this micro community. Students really took to the project and decided that It would be good to include the actual organisms. Thus, all 14 spiders, herbivorous insects, and Goldenrod flower heads found their way on the bulletin board. Experiences like this empower our youth to see themselves as shareholders of knowledge rather than passive vessels who blithely learn facts about things like ecosystems only to recite them back on tests.